Pink sapphire and pear shaped diamond daisy ring with matching wedding ring. This was made to special order. Shown here in platinum. 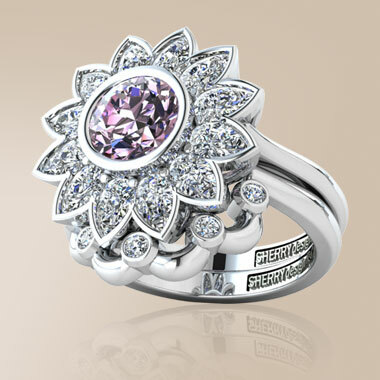 Pink sapphire and pear shaped diamond daisy ring, with matching wedding ring. All of our jewellery is made to special order. 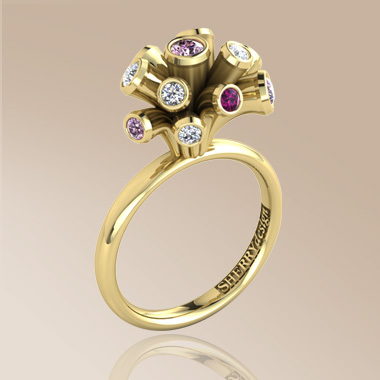 Rings inspired by flowers are a re-occurring theme in our designs. 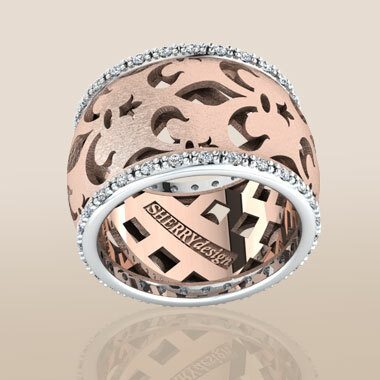 Each piece of jewellery is designed and created as a one-off. Our client wanted a big, but delicate-looking engagement ring for a surprise proposal. 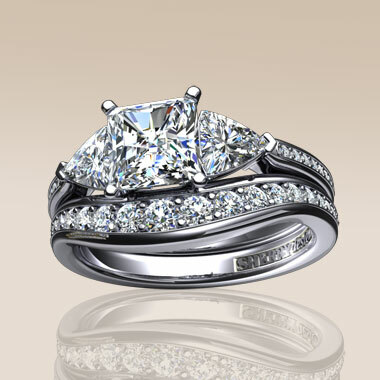 The fitted wedding ring was sympathetically sculpted to tuck around each petal.Shown here in platinum. A variation of the daisy is available to order in any stone combination of your choice. This enables you to stamp your own character on your commissioned piece of bespoke jewellery. 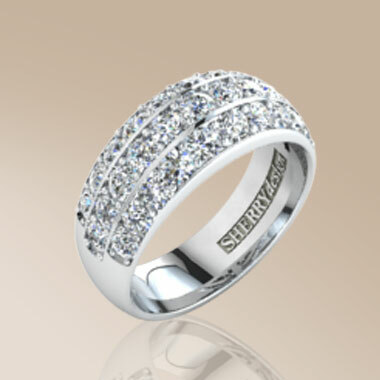 You can specify any stones and the metal of your choice, be it platinum, 18ct gold or 9ct gold.